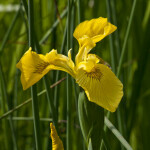 This gallery includes 27 photos of irises (of the genera Iris). Irises are members of the family Iridaceae. and have showy flowers.